Yesterday was really a special day. 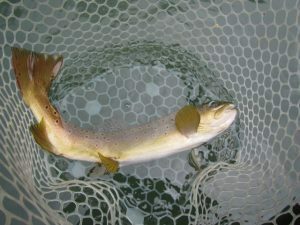 We got to fish with an old friend, Chuck Farneth, and a relatively new and young friend, Andrew Priester. Although Chuck is certainly not old, he and Bo have been friends for a number of years. 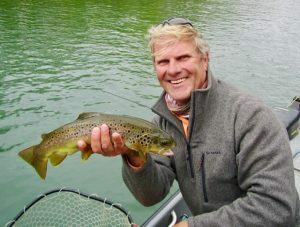 Chuck won the first ESPN Great Outdoors Games Fly Fishing Competition some years ago and is most certainly an expert fly fisher. 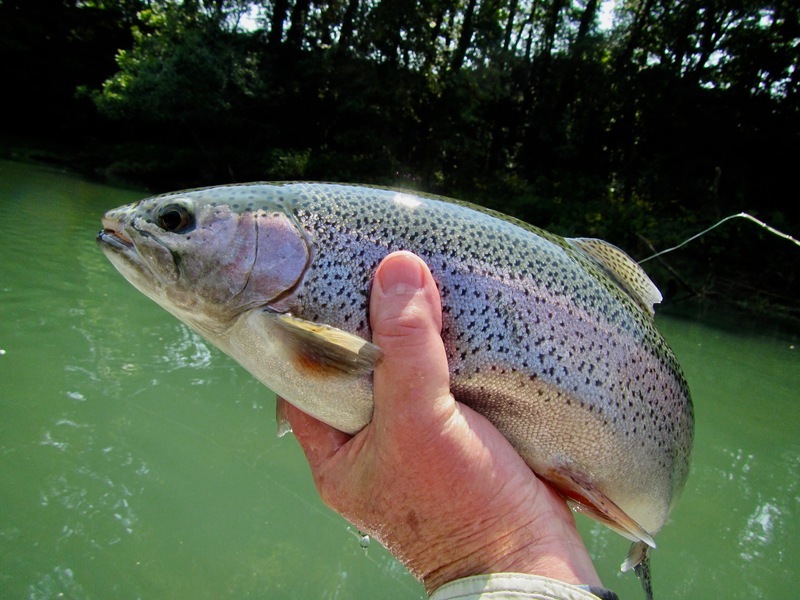 He is also a certified master fly caster and world class fly fishing guide. He also represented the United States in the World Master Fly Fishing Competition in Chile a few years ago. Andrew Priester is a young friend that is a wonderful and extremely talented young man. He is an outdoorsman in the truest sense of the word. Andrew guides duck and goose hunts in Canada as well as Arkansas and is a top notch turkey and deer hunter. 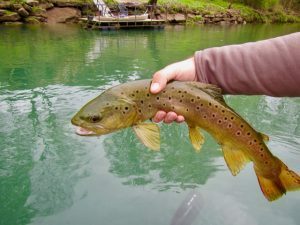 He also guides fly fishers on all three of our north central Arkansas trout rivers. We all got a rare chance to streamer fishing together and as you can see we had a very productive session. 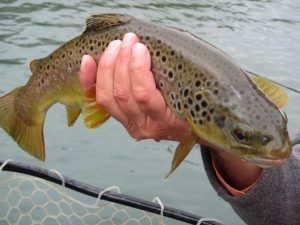 With high water and overcast skies we had near perfect conditions and all three anglers hooked up on some really nice Brown Trout on a variety of streamer patterns. 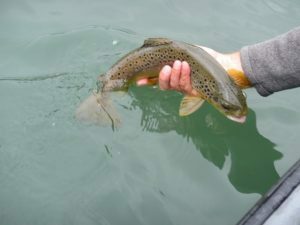 Every fly fishing guide has some different techniques and they all work. Do not pass up an opportunity to take a guide trip with either one of these wonderful guides. You will definitely have a good day and wonderful learning experience. 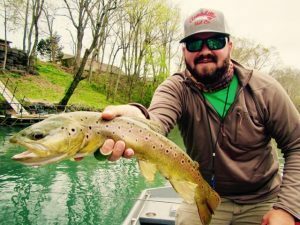 Oh yeah, if you cannot get hooked up with Chuck, or Andrew, just give Bo at call at Empty Creel Fly Fishing Guides and Outfitter, LLC., he is not too shabby either!